The structure indicated is the vertebral body. The vertebral body is the largest component of the vertebra. 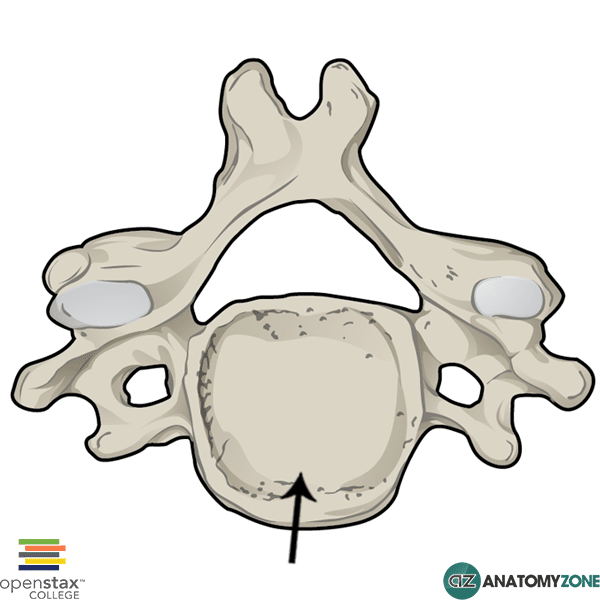 Between adjacent vertebrae within the spinal cord, the vertebral bodies are joined by intervertebral discs which form fibrocartilaginous joints and provide support and shock absorption for the spinal column.